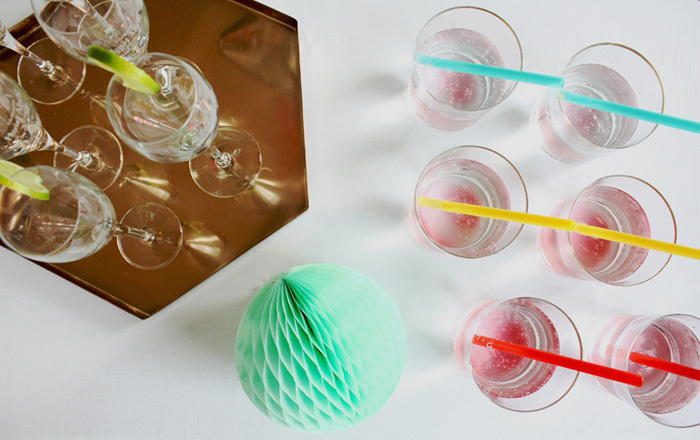 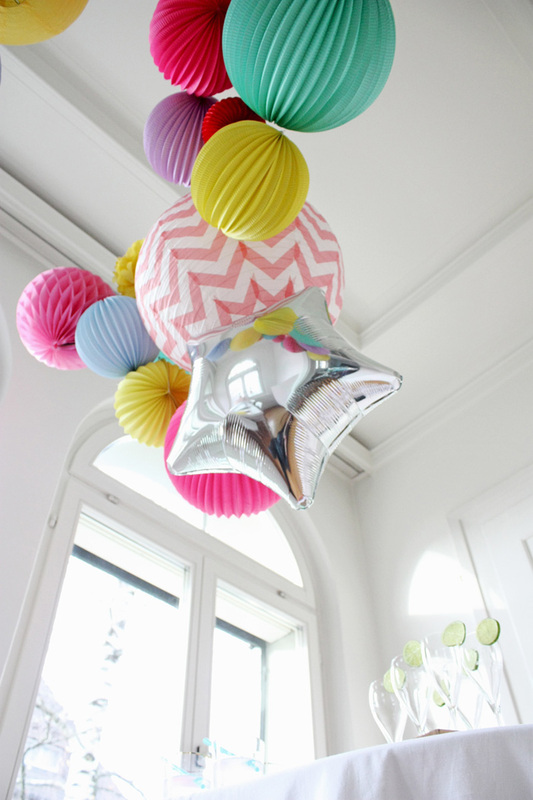 For a huge dose of vitamine and to start the new year with joy and hapiness, here’s an idea for your New Year’s Eve decor!!! 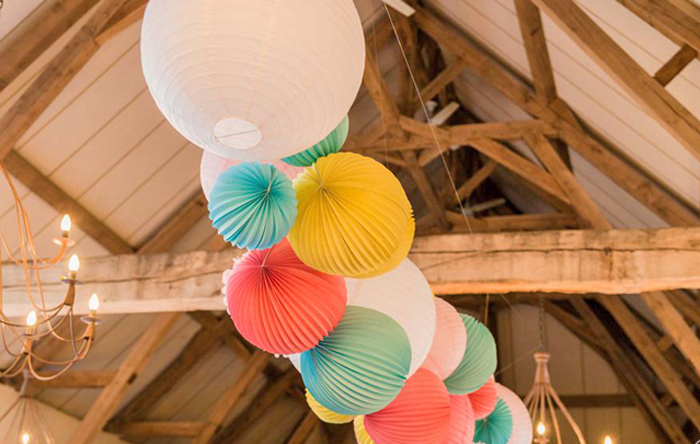 To decorate your bar area, or your dinner table, you just have to tighten 2 lengths of twine or fishing thread and hang up some lanterns, accordion lanterns, honeycomb balls and pompoms. 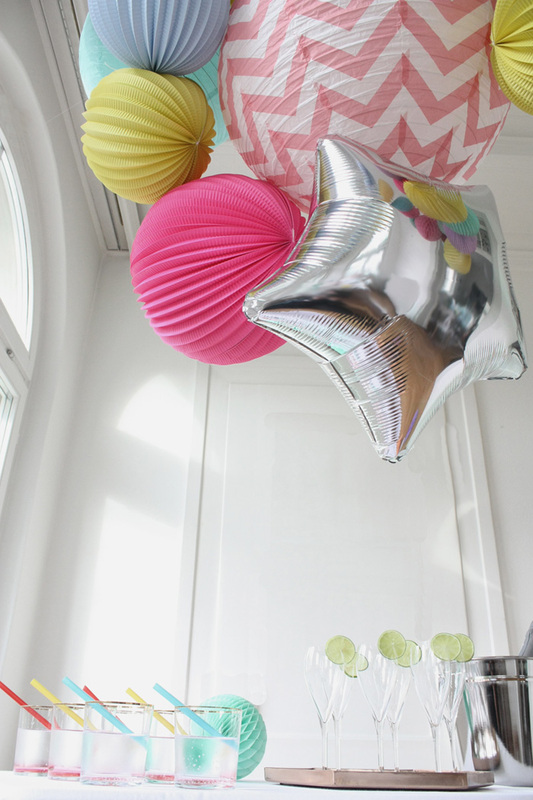 We added a touch of light with our new small silver star balloon. 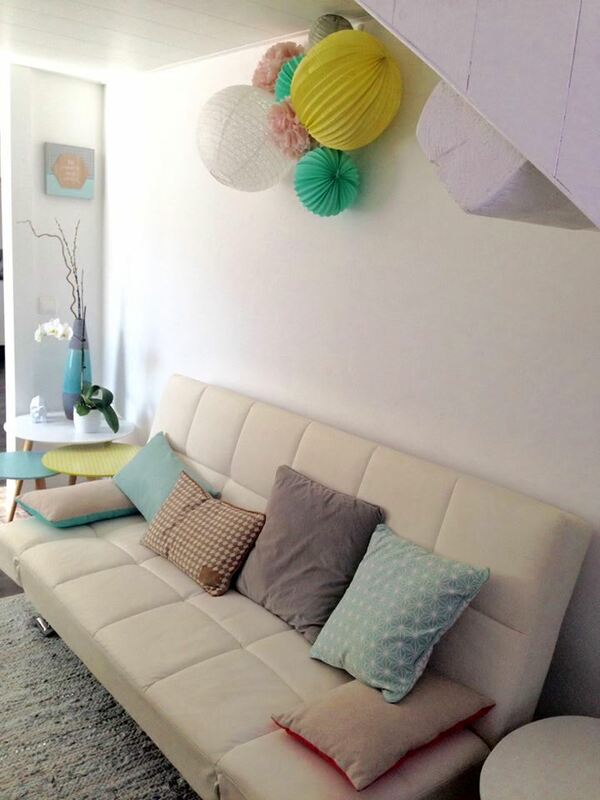 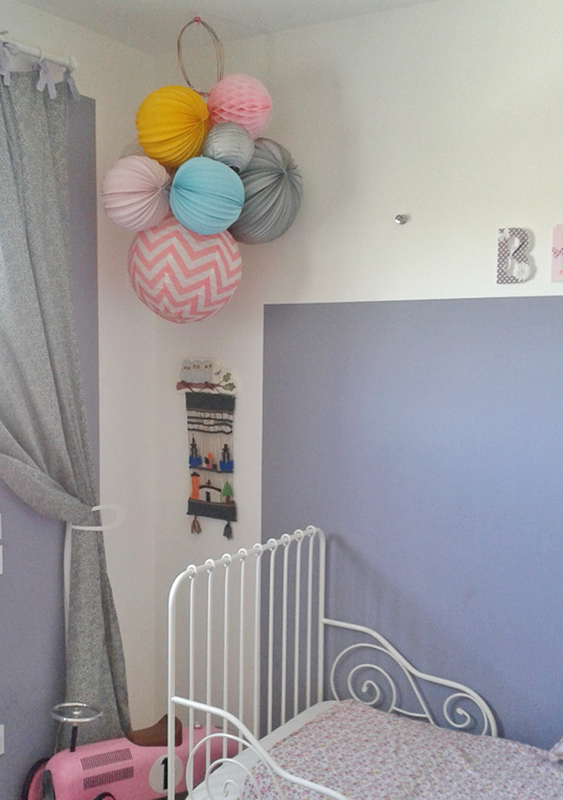 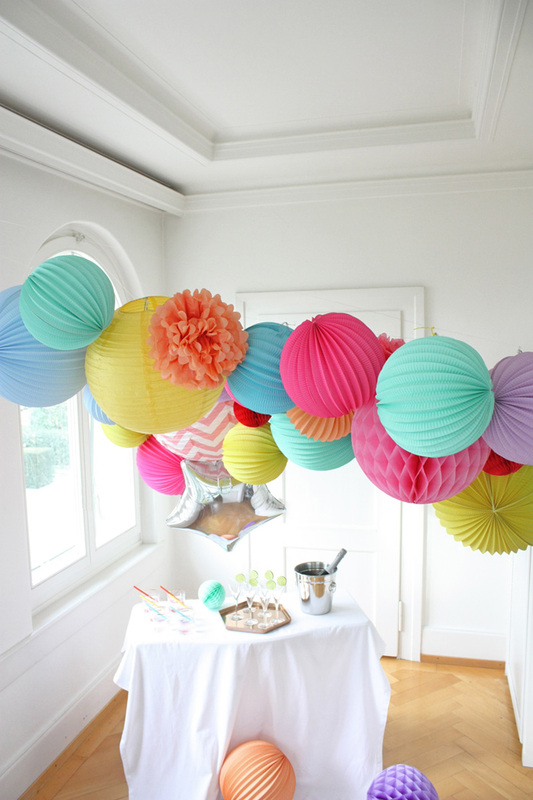 You can also create 2 guarlands with fishing twine and hang your lanterns and pompoms up to a window or a bay window. 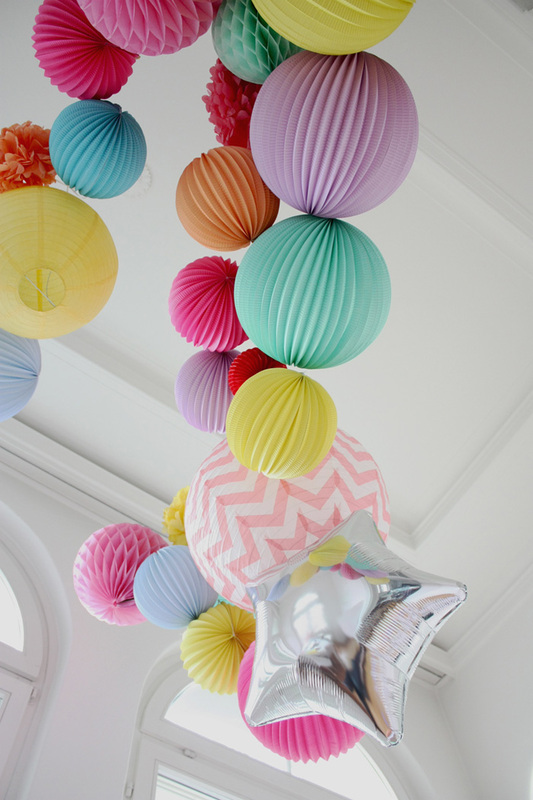 For a great result, all you need to think about is lots of different shapes, sizes and colors! 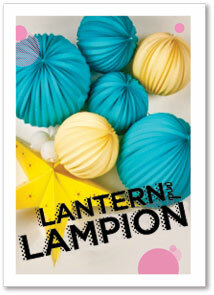 Come check out our other paper lanterns kits and deco gift ideas in our store! 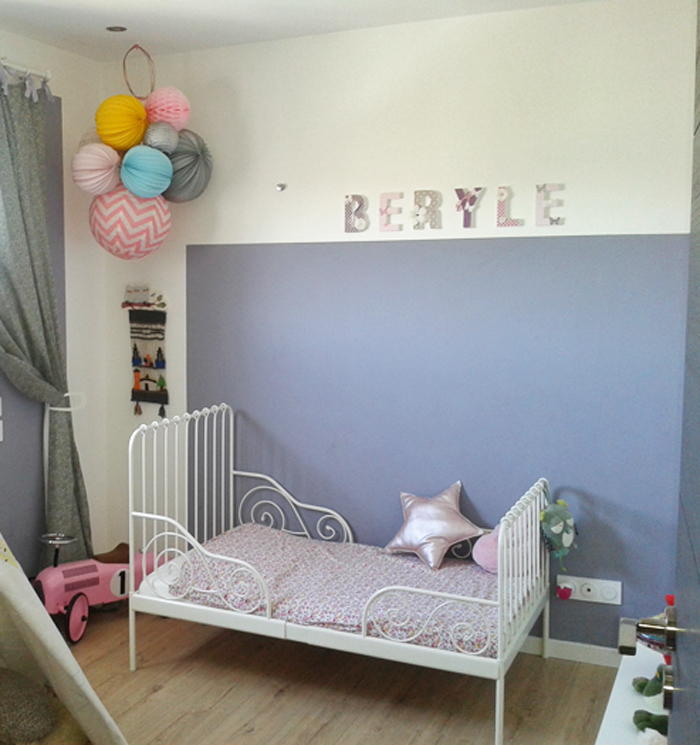 How about creating a very cosy work or reading corner with our new ” Sweet home ” kit! 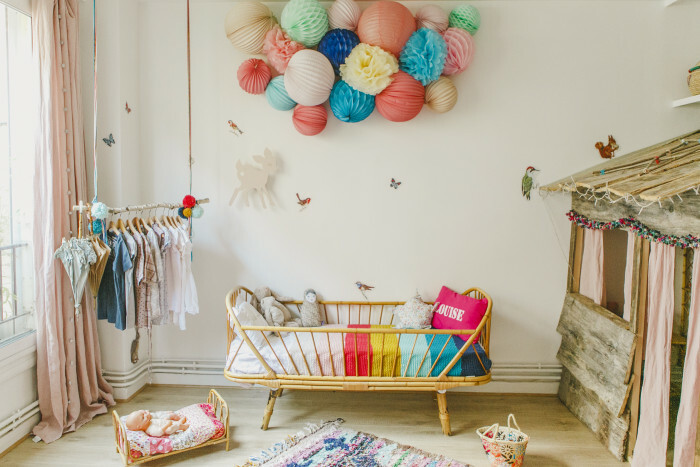 Make a quick stop in our e-boutique to order it, and in a blink of an eye you will receive everything at home to make it happen. 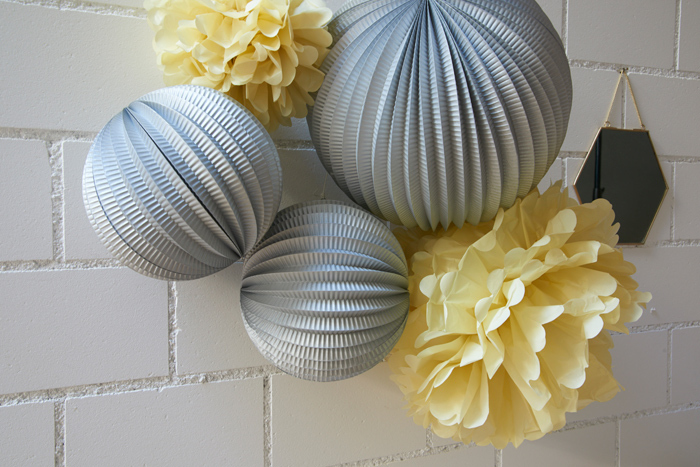 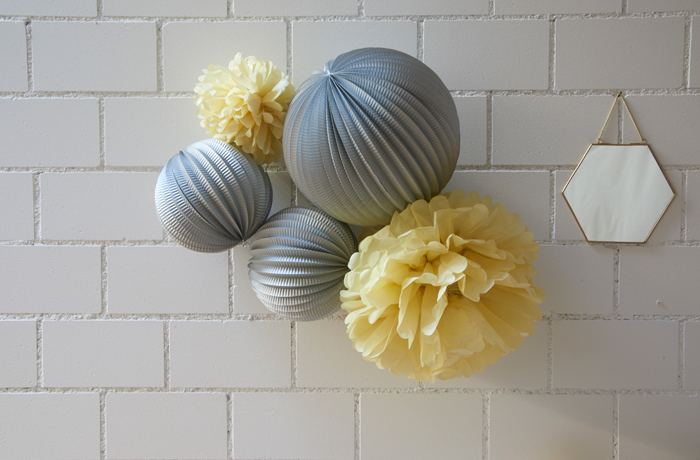 You will quickly create a gorgeous grouping of neutral shades paper lanterns: metallic grey and vanilla hues! 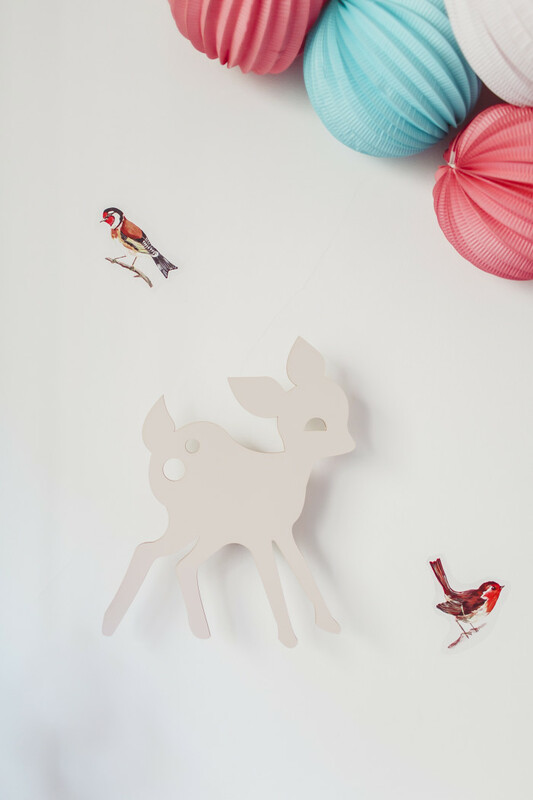 To hang them on, please follow the guide here! 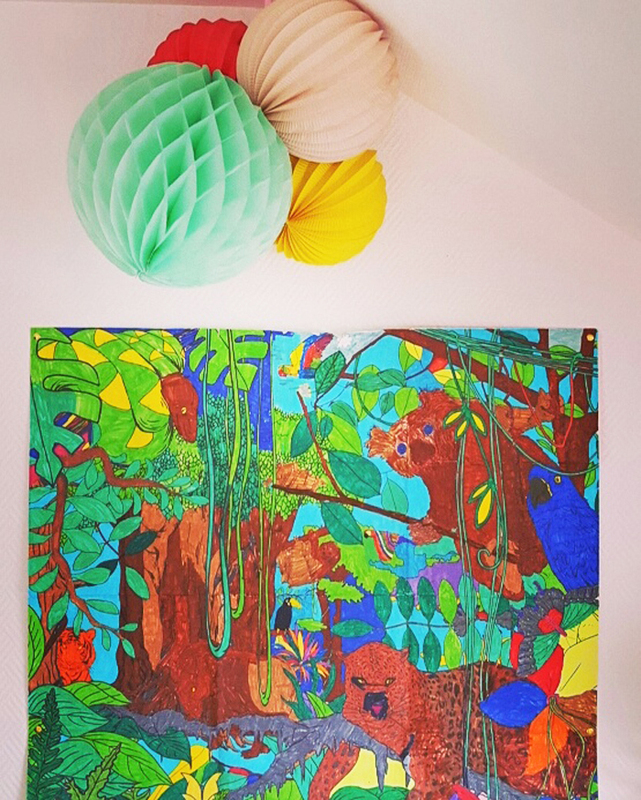 You can also order “Sweet Home” as a very original gift, which will surely please your friend! 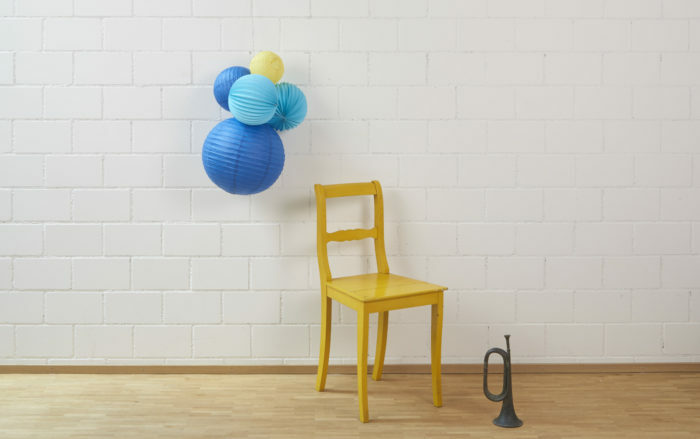 Slide the kit in our tote bag for an unique present! 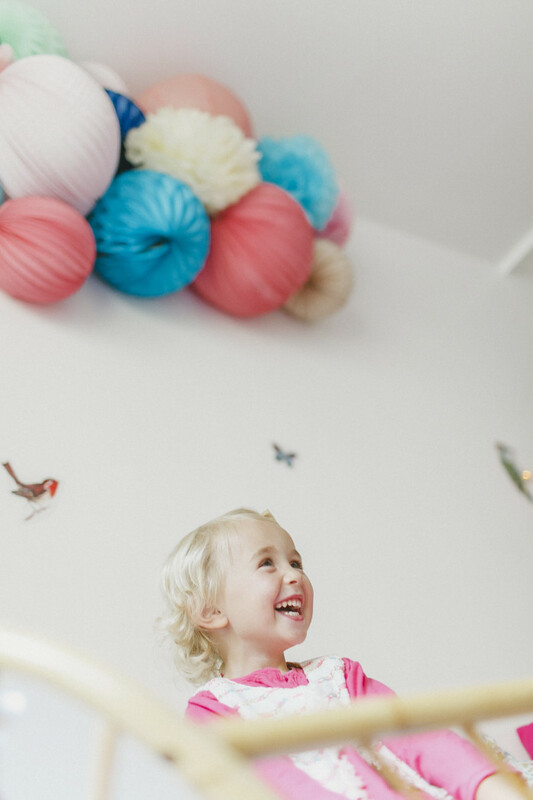 And today, a special treat for all the future brides out there! 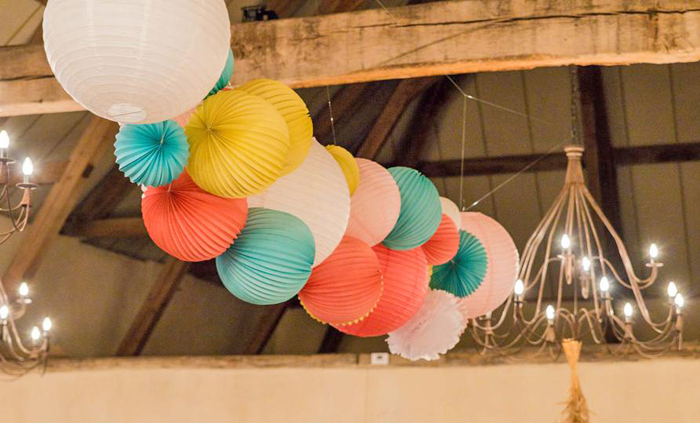 Anne’s wedding decor was simply stunning… this grouping of lanterns of various shapes ans colors is just gorgeous! 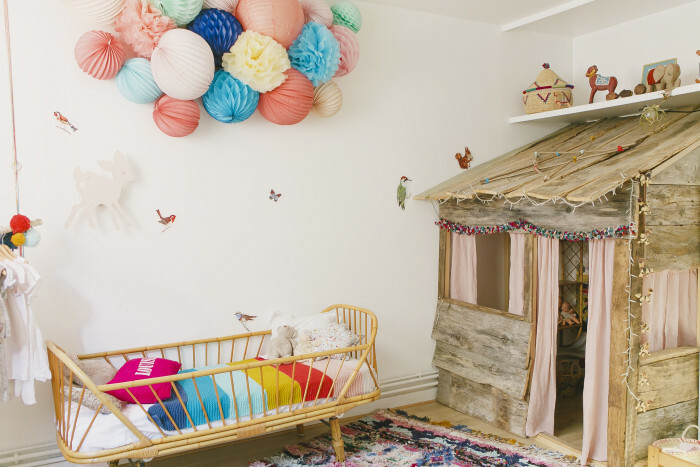 To build this installation, the easiest way is to use fishing line or strong string that you can tie wherever you can, hooks, beams, windows etc. 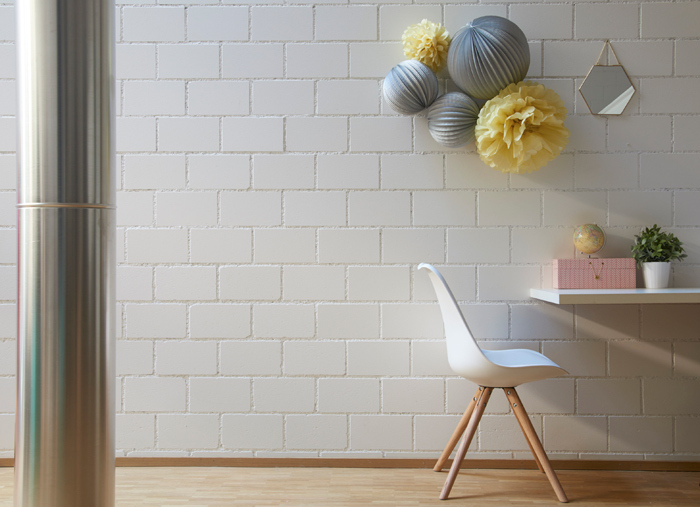 It is solid and will be invisible for under. 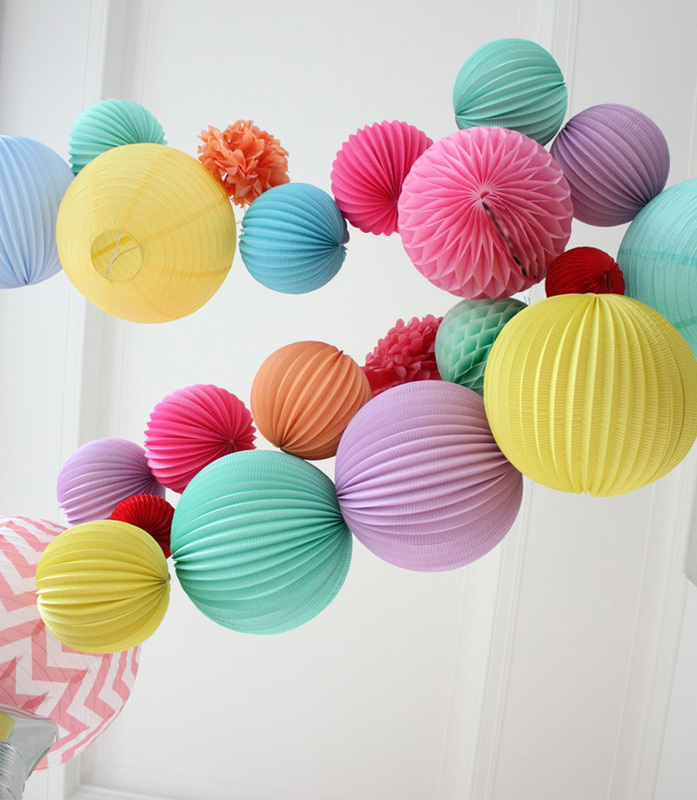 Make sure to strongly tighten the thread in order to avoid the whole thing to fall too much towards the ground. 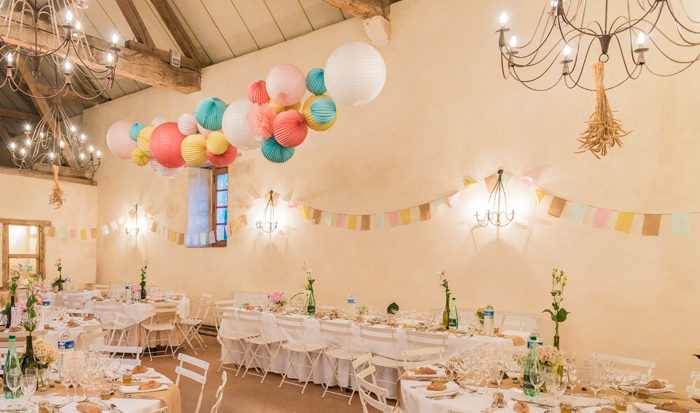 For such a long cluster, we also advise you to hang and cross several fishing lines, and to create some kind of net, that will be able to support the weight of the whole grouping. 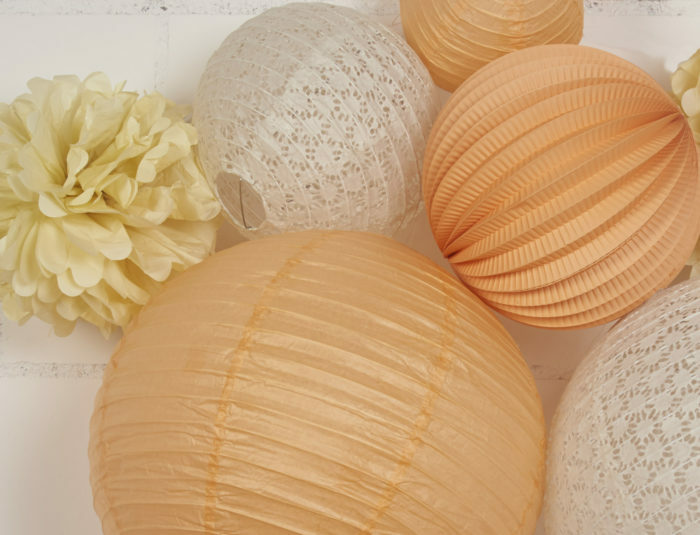 Shop our wedding paper lanterns in our store ! 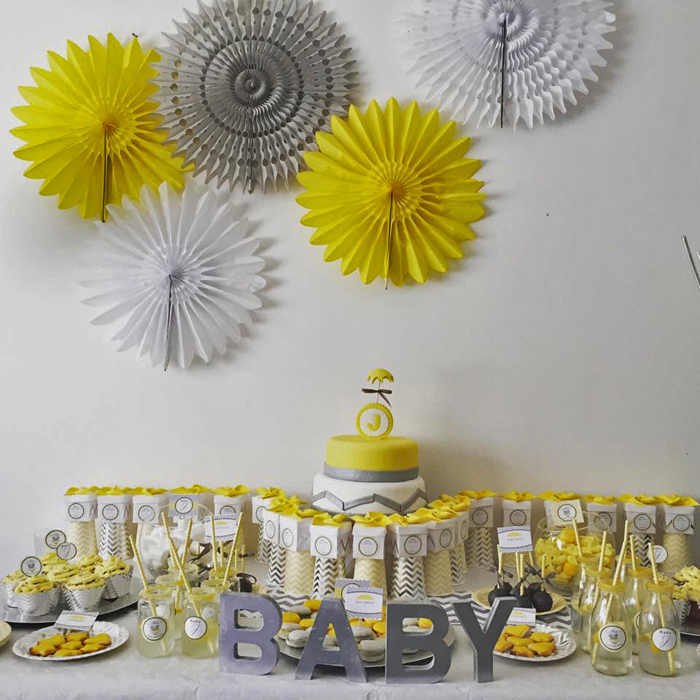 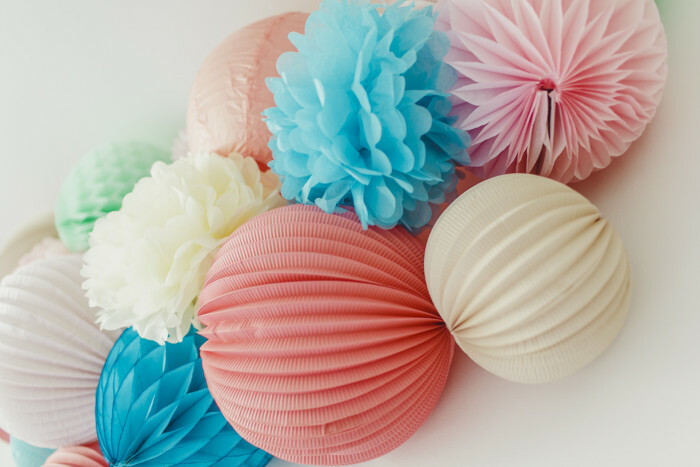 It’s so easy to create a backdrop with paper fans and this is a great way to decorate your party buffet or sweet table. 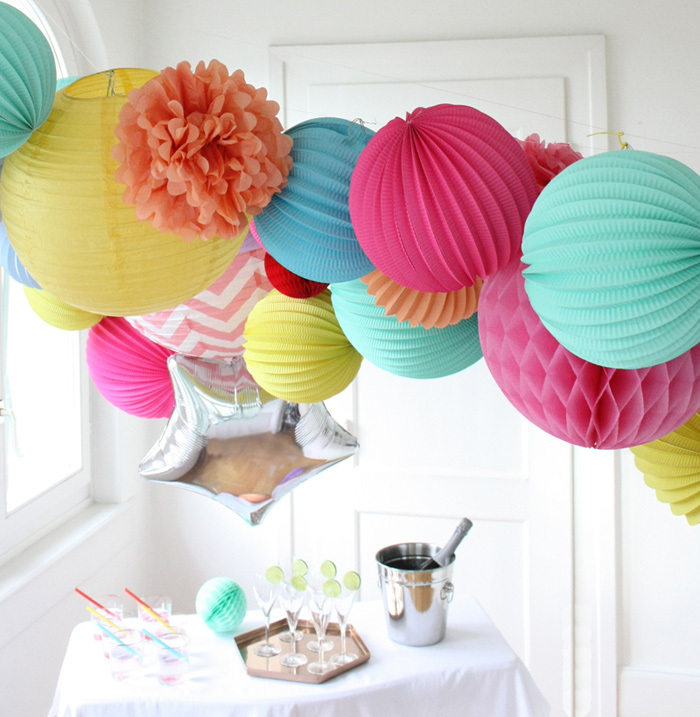 You just have to choose the colors you’re in the mood for your event, or you can even choose first your palette while shopping in our store, and then match the rest of the decoration elements. 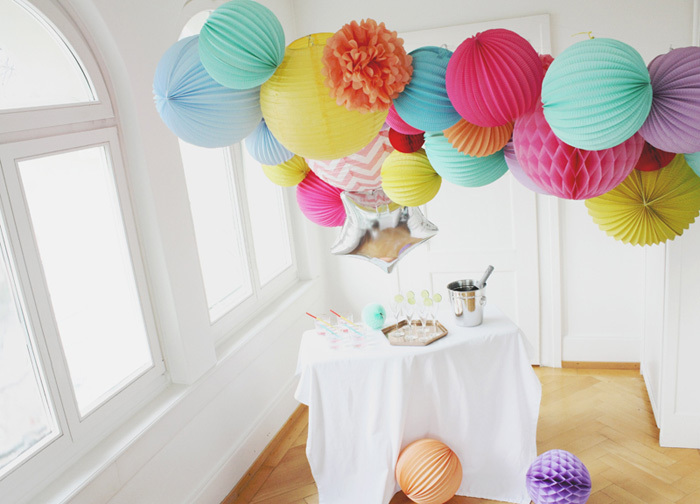 Possibilities are endless. 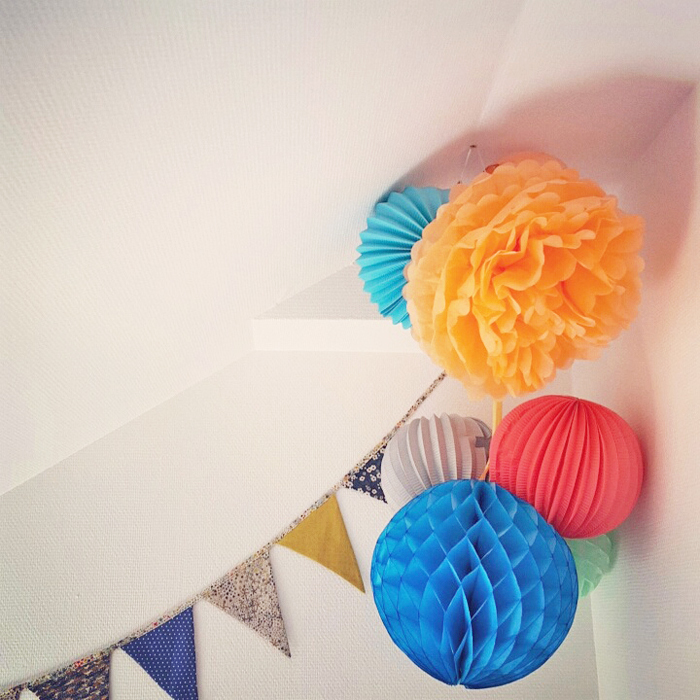 It’s always a good thing to mix and match sizes and shapes (small, medium, maxi, regular or honeycomb paper fans). 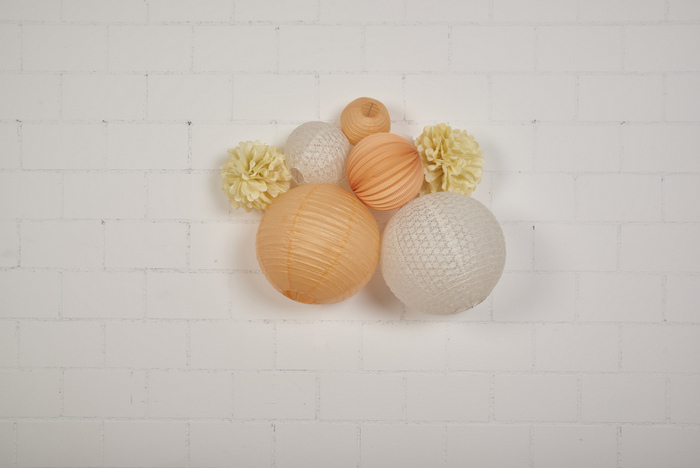 Each of our fan comes with a piece of twine so that you can hang them in 2 seconds! 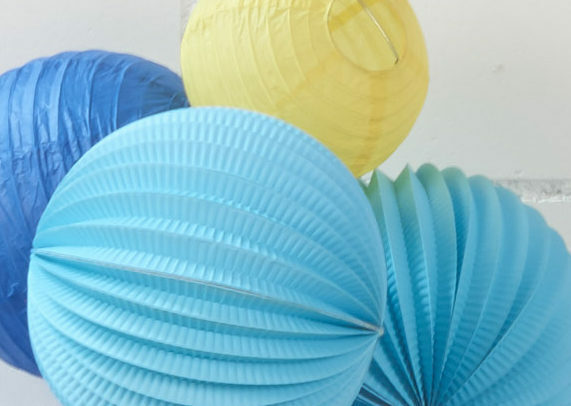 Shop our colorful paper fans in our store! 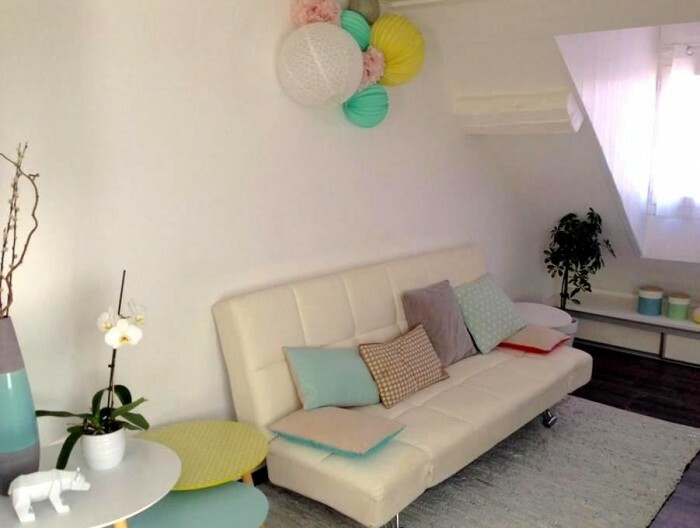 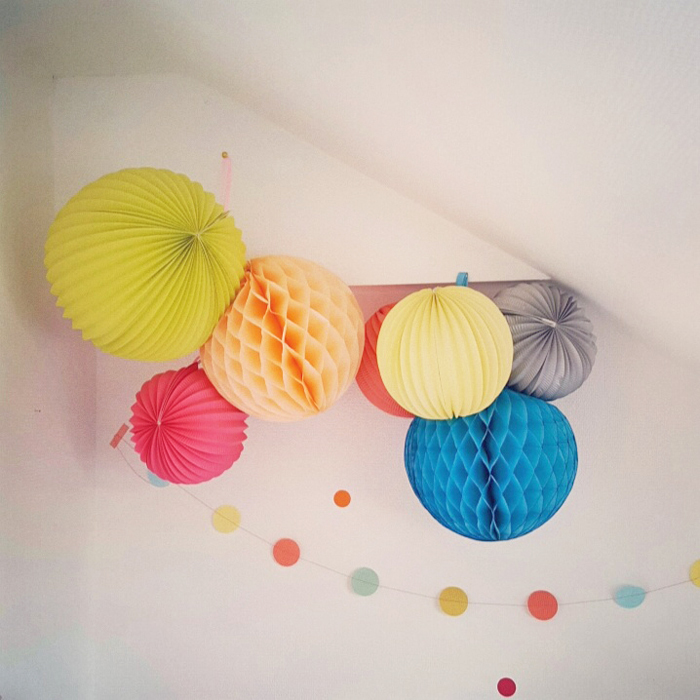 Maria likes bright colors for her kids’ bedrooms, the parties she throws for her friends but most important to cheer her up! 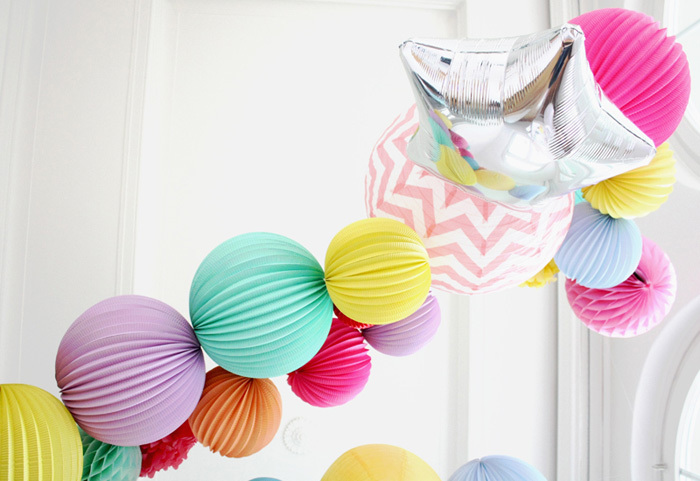 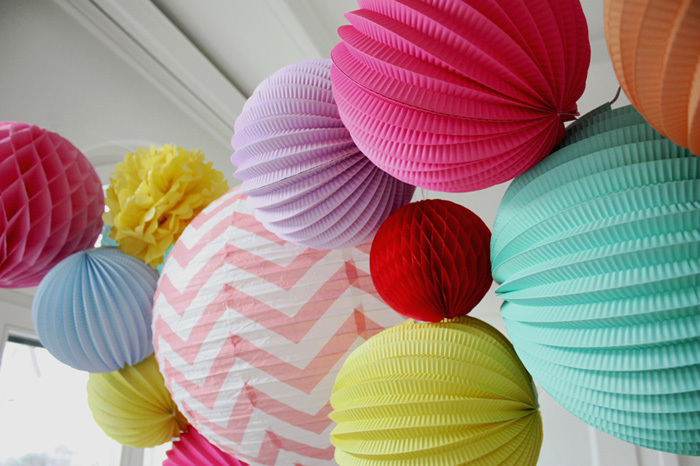 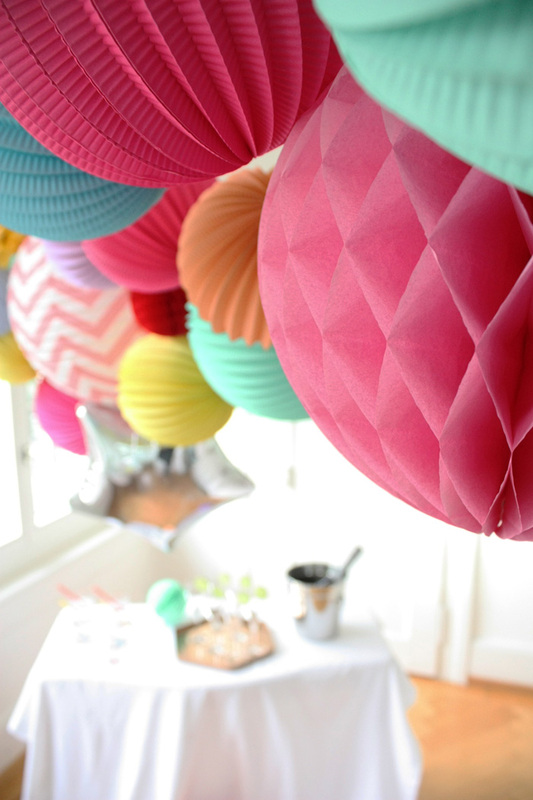 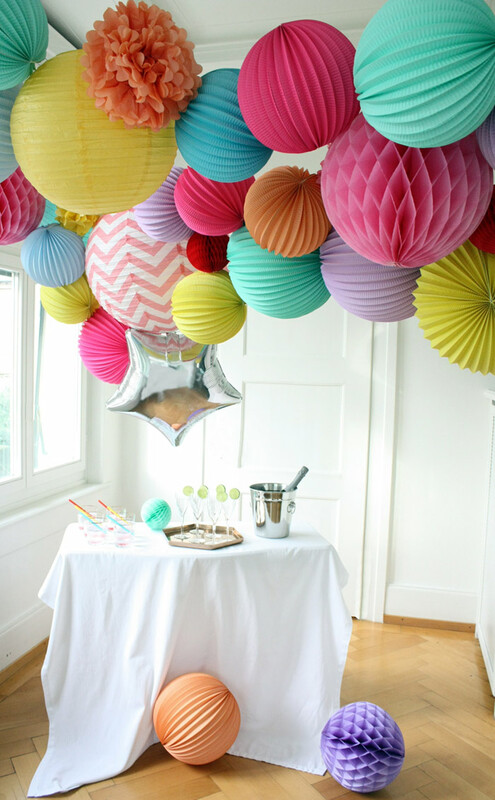 Shop our colorful paper lanterns in our store!